Sacramento Republic FC’s early goal from Adam Jahn and help from an own goal were enough to hold off a late surge from Oklahoma City Energy FC. 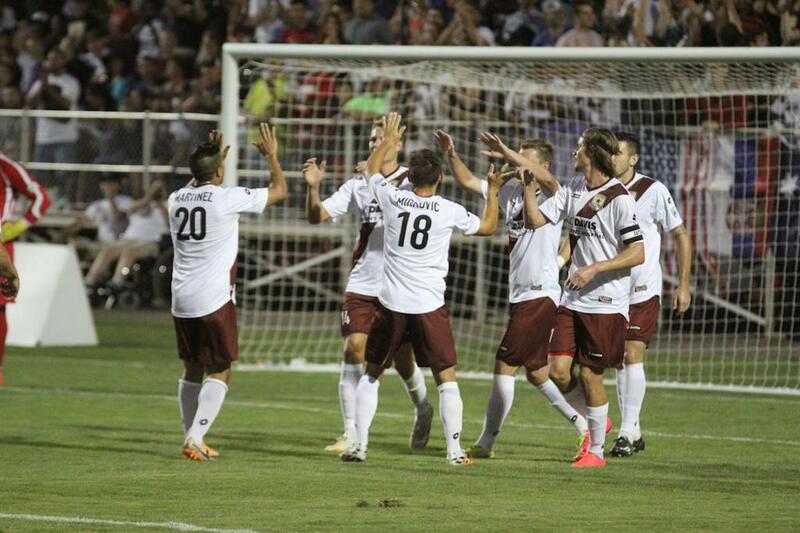 Republic FC tallied the first goal of the match in the 16th minute on a free kick from 25 yards out. Midfielder Max Alvarez sent an in-swinging free kick into the box and forward Adam Jahn ducked down and sent a glancing header through the entire defense and past a stationary Energy FC keeper Samir Badr. Republic FC wasted no time in doubling to their lead scoring 2 minutes later in the 18th minute. Defender Chad Bartlomé took 2 touches down the endline and sent a ball across the face of goal. The ball was deflected towards goal by and onrushing Jahn. Energy FC defender Cyprian Hedrick tried to clear the ball but ended up inadvertently sending the ball into back of the net for an own goal and a 2-0 lead for Republic FC, which they would carry into halftime. After more attacking play from Republic FC to start the second half, Energy FC would show signs of life in the 74th minute. Midfielder Michael Thomas found a streaking Kyle Greig with a lofted through ball. Greig found open space behind the defense and went one-on-one with Republic FC keeper Jake Gleeson. Grieg took a couple touches before sliding the ball between past Gleeson and into the back of the net cutting Republic FC’s lead in half. Energy FC would continue to push for an equalizer in the final minutes but Republic FC was able to close out their seventh home win of the season. 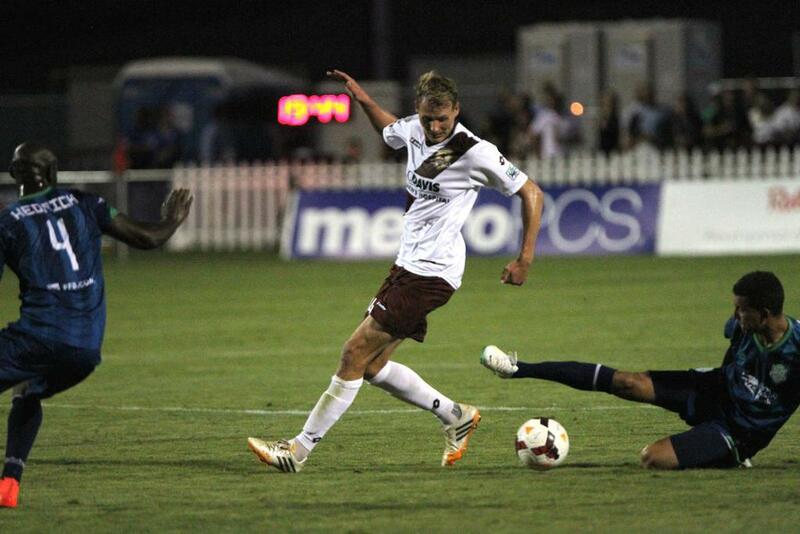 Republic FC will travel to Orange County to take on Blues FC in their fourth matchup of the season. Kickoff is scheduled for 4:00 p.m. The match will be streamed live at SacRepublicFC.com/matchday and updates will be provided via Twitter @SacRepublicFC and using #OCBvSRFC. 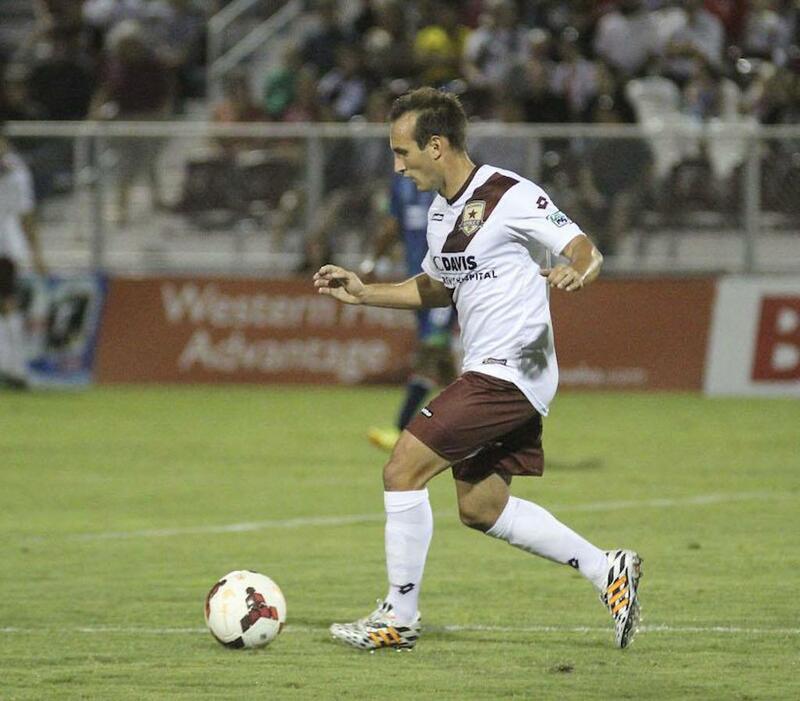 Sacramento Republic FC – Jake Gleeson; Emrah Klimenta, Mickey Daly, Nemenja Vuković, Chad Bartlomé; Octavio Guzman (J.J Koval 64), Ivan Mirković, Carlos Martinez (Tommy Thompson 64), Max Alvarez (Gabe Gissie 73); Adam Jahn, Justin Braun (Thomas Stewart 69). Oklahoma City Energy FC – Samir Badr; Cyprian Hedrick, Gareth Evans, Max Gunderson; Peabo Doue (Kyle Miller 78); Michael Thomas, Nate Shiffman, Tarek Morad (Jimmy Medranda 59); Dan Delgado (Abraham Villon 74), Steven Perry (Javier Castro 59), Kyle Greig (Paul Wyatt 76).